I have been in my own little world lately trying to get my house together before the baby gets here so my blog inspiration is running a little low. The kitchen is almost done- we have drywall work, painting, trim and back splash left but even with all that left to do I can still cook- and I am LOVING cooking in this kitchen. Yesterday a friend of mine spent the afternoon dirtying every dish in the house (the pic honestly only shows about half of the dishes I got dirty) to make chicken pot pie and banana pudding for our friend that just had a baby. It was totally worth it. This is the chicken pot pie recipe I use. To make it a little easier I use a rotisserie chicken and sub traditional pot pie veggies- carrots, potatoes, peas for the fall veggies. The crust is green because it has fresh thyme and parsley mixed into the dough- which makes it extra delicious. While I was at the grocery store I found myself looking at the fresh herbs wishing I had them around all the time. Fresh herbs can add such a nice, fresh flavor and brighten up a meal- so much more than dried herbs. I've been thinking that with this HUGE window in my new kitchen I could grow a little herb garden but since we've worked hard to design a kitchen with clean lines and minimal clutter it would have to be sort of modern and contained, so I've been scouring the internet for ideas. This would be awesome but I think we are lacking space and commitment for this. 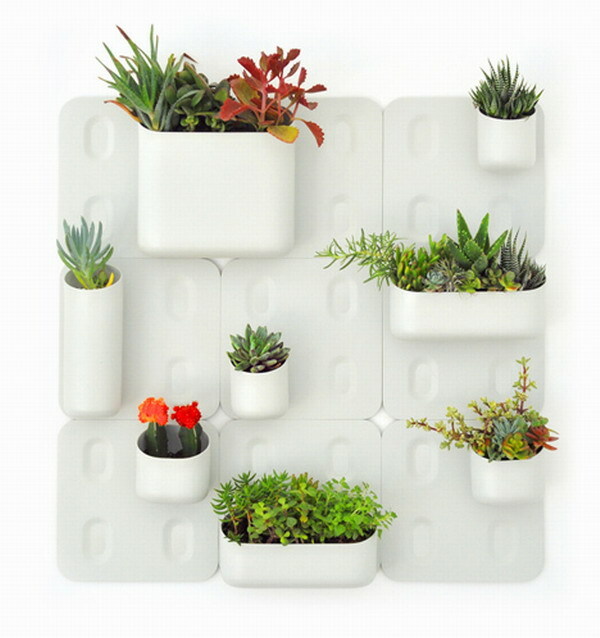 I love this Boskke Sky Planter, I could hang it right in front of the window and not use any counter space! This Urbio system is my favorite, environmentally friendly and you can use it for planting and organizing, I love some modern organization! And I guess if I can't find something cool (that I can afford) I can always start off with the classic terra cotta pot to see if I can manage to keep the plants alive! If you are interested in an indoor herb garden here is a link to get you started: how to start a window sill herb garden. If you have any ideas or words of wisdom please share!